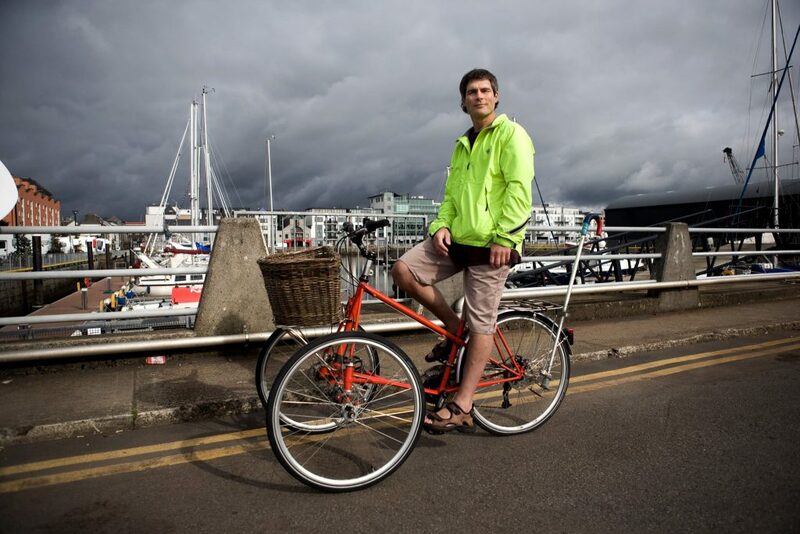 The inspirational Liam Cullinane has battled a rare form of meningitis for over 25 years. 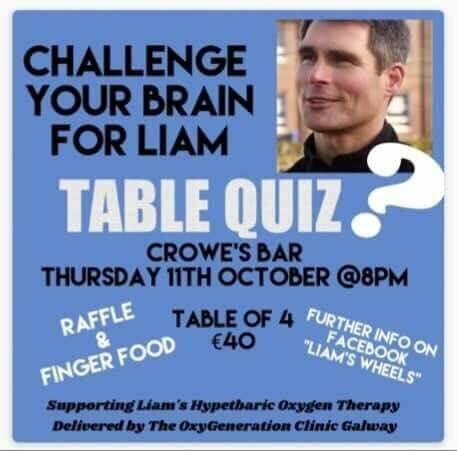 A table quiz is being held in Galway City tomorrow (Thursday) night to boost the continuing recovery of a remarkable man who has battled a rare and deadly form of meningitis for the past 25 years. Liam Cullinane is one of the most remarkable people I know. He is seeking funds to continue with life-changing hybperbaric oxygen therapy which has transformed his life this year. I wrote a press release to publicise the event which takes place at Crowe’s pub in Bohermore at 8pm. I have also written a personal blog post, celebrating what Liam means to me and his wide circle of friends in Galway. He awoke from a coma in Scotland in 1993 and began a long and brave battle to regain his health and build an independent life here in Galway. He recently began receiving daily sessions at the OxyGeneration clinic and has been thrilled by his progress. “The scientifically proven anti-inflammatory process seems to be working away at reducing the inflammation in my brain and body, and the results so far have been excellent. After the very first treatment I noticed increased flexibility and slept really well that night,” he told me recently. You cannot measure a man by his career or his bank account when you witness Liam’s determination to live a full and independent life every day. Please note that Ciaran Tierney Digital Storyteller is avaiable for freelance journalism, feature writing, or professional blogging. If your business has a story to tell, why not hire a professional journalist to write a regular blog? It’s a great way of connecting with, and extending, your online community! Previous Previous post: Double finalist at the Irish Blog Awards! Next Next post: Best current affairs blog in Ireland!